This entry was posted on Thursday, June 29th, 2017 at 7:27 pm	and is filed under Locations. You can follow any comments to this entry through the RSS 2.0 feed. You can leave a comment, or trackback from your own site. Great report and interesting how they are different from Bahamas bones. Well done! 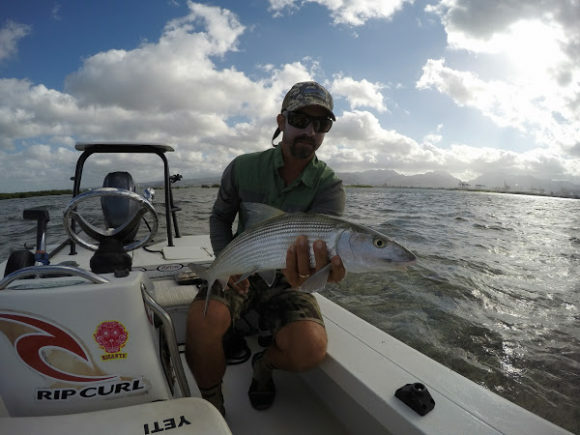 I share your frustration when it comes to Hawaiian bonefish, they’re big and can be extremely picky. 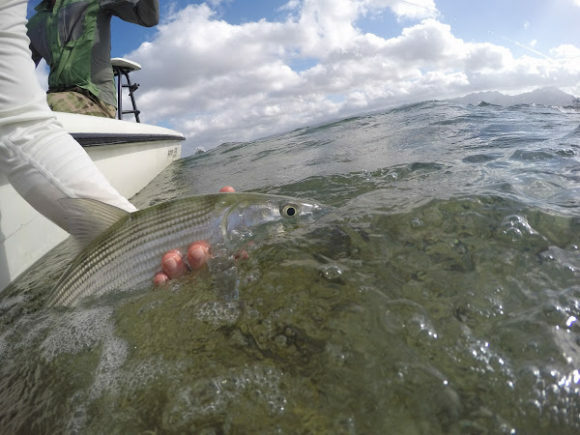 Summer is definitely the best time there, stable weather pulls lots more fish up on the flats and they’re more willing to eat. Winter fishing there can just beat you down. I’m glad they didn’t stick you with their other guide (not sure if he’s still there or not) Nick. Worst guide I’ve ever been with. Absolutely the worst attitude I’ve ever experienced, and I’ve been with a couple salty guides. Nick took it to another level. When I go back I will absolutely not go with them solely because of the horrible guide they stuck me with.